Great for cardio fitness, Aerobics exercises in Abu Dhabi can also help with weight loss too. 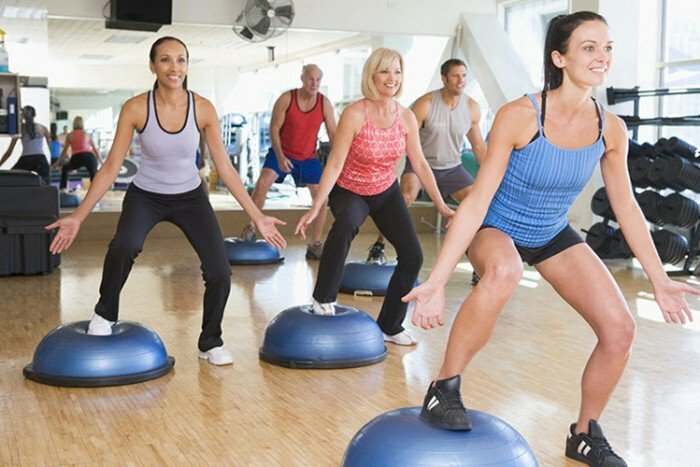 Is Aerobics a good exercise type for weight loss in Abu Dhabi? A high energy workout - can Aerobics in Abu Dhabi help you lose weight? Aerobics is a great cardio workout but does it also help with weight loss in the UAE? In Abu Dhabi many people hire a personal trainer with the specific goal of losing weight and maintaining a healthy weight ‘after’ they reach their weight loss target. One method of weight loss is Aerobic exercise which when combined with a good diet can achieve great results. We asked a female aerobics personal trainer in Abu Dhabi who is a specialist fat and weight loss for her tips about aerobic exercise. As a fitness personal trainer in Abu Dhabi with aerobics experience what are your top 10 aerobic exercise methods (Zumba, Jogging, Swimming etc) for weight loss and can you explain how and why you think each has its benefits when it comes to weight loss. There are many aerobic techniques and methods that you can use for losing weights and burning body fats in Abu Dhabi but here’s the list of the most effective and time effective methods that I apply to myself and to my Abu Dhabi personal training clients. – 1. PHA (peripheral heart action training) – this training is a combination of anaerobic and aerobics exercise. Two exercises back to back and no rest in between sets. You can do this in different ways.. Like train your anterior and posterior back to back or you can do the upper and lower body back to back. This training really effective for losing weight because the heart rate really goes up and burn calories in a process. – 2.Cardio Acceleration Training – is a mixture of weight training and cardio training (eg doing a barbell squats then do a high knees right away no rest between the sets and repeat the exercise for 5 sets) This is really effective for losing weight because it gets your blood pumping and your heart rate up. – 3. Sprinting – is a high intensity training that really works for your cardio vascular training (cardio) and helps losing weight fast. You can do this by using the HIIT (High Intensity Interval Training) This training is really effective for losing weight because the heart rate goes really high and helps to boost the metabolism as well. – 4. Multi Joint Training – is an exercise that uses different joint in one movement – a good example for this is a clean dumbbell press. This movement uses all big muscles in your body that need a lot of effort and energy to use which therefore really helps to burn fats. By doing these exercises regularly in different muscles groups you can lose some weight. – 5. Circuit Training – is a training method can can really add a great deal of cardio workouts which can help you lose weight. This kind of training really helps to burn tons of fats in a short period of time. – 6. Density Sets – this exercise is almost the same as circuit styles but does 3-4 exercises back to back with no rest. But the difference for this exercise is more targeted towards your endurance. By doing 3-4 exercises and not working the same muscles groups will allow you to do more reps in a certain period of time. at the same time really helping you to burn fats. – 7. Tabata Training In Abu Dhabi – Tabata training 8 exercises back to back with very short rest. Working a whole body exercise and burn lots of body fats in a very short period of time. Good for endurance as well. – 8. HIIT (High intensity interval training) – this training can be done with weight training equipment or body weight exercises. You can combine both weight training and cardio for Tabata. Your heart rate goes up which in turn means you will be burning more calories. – 9. LISS (Low intensity Steady State) – LISS is also beneficial for losing weight and good for endurance and can be done using a treadmill, crosstrainer or even in a skillrow. LISS really helps to burn fats and build strength for the cardio vascular system. – 10. Swimming – Swimming is probably the best known of all aerobic based exercises and as well as getting you fit in Abu Dhabi it can really help to burn fats and is good for endurance. Working the whole body that really gives lot of efforts and energy ultimately burning calories. All the above aerobic based exercise methods are really great when it comes to burning fats and losing weight in Abu Dhabi but remember, if don’t have proper diet and nutrition the job of using aerobics for weight loss will be that much harder. 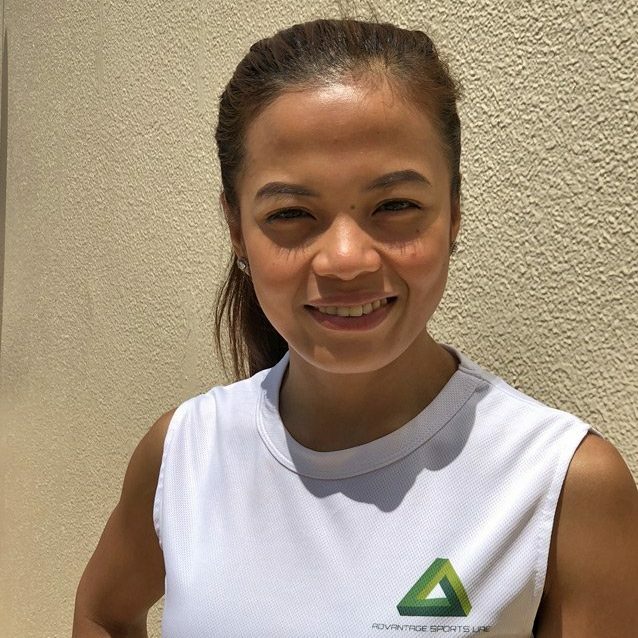 Whether you are looking to lose weight, tone your body or just get fit in general Malou is a female PT in Abu Dhabi who can help. All her clients benefits from 1-2-1 coaching and nutrition advice. You can view further information about Malou by clicking on the link below.